Domhnall Gleeson, who disappointed his fans with his caricature of a villain in Star Wars: The Force Awakens, is working hard to redeem himself. I was hoping to see him reteam with Saoirse Ronan in the adaptation of Ian McEwan's On Chesil Beach but alas, that's not to be. Gleeson does have Goodbye Christopher Robin* in his very full pipeline. 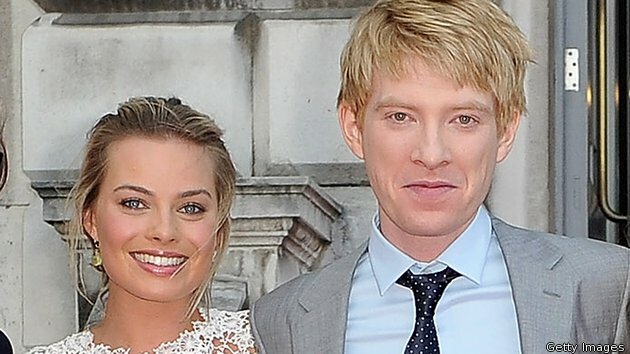 The Irish actor is set to play author A.A. Milne, with Margot Robbie in talks to play his wife, Daphne de Sélincourt. Simon Curtis (My Week with Marilyn) will direct. 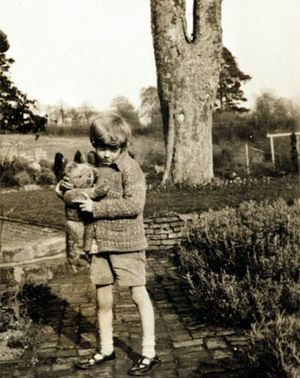 It's hardly exaggeration to say everyone knows the story of Christopher Robin and his friend Winnie the Pooh playing together in the enchanted Hundred Acre Woods. 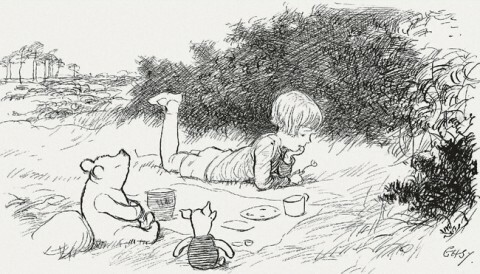 Author AA Milne based the stories on his own son with illustrator E.H. Shepard—who had collaborated with Milne at Punch magazine—even drawing Christopher Robin as the spitting image of the little boy. 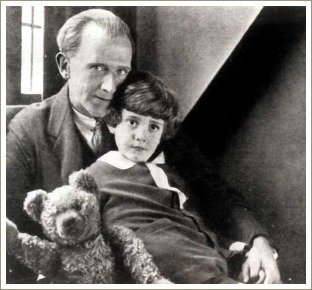 Poor A.A. Milne. After he gave the world the iconic Pooh Bear the world would never take his other work seriously again. 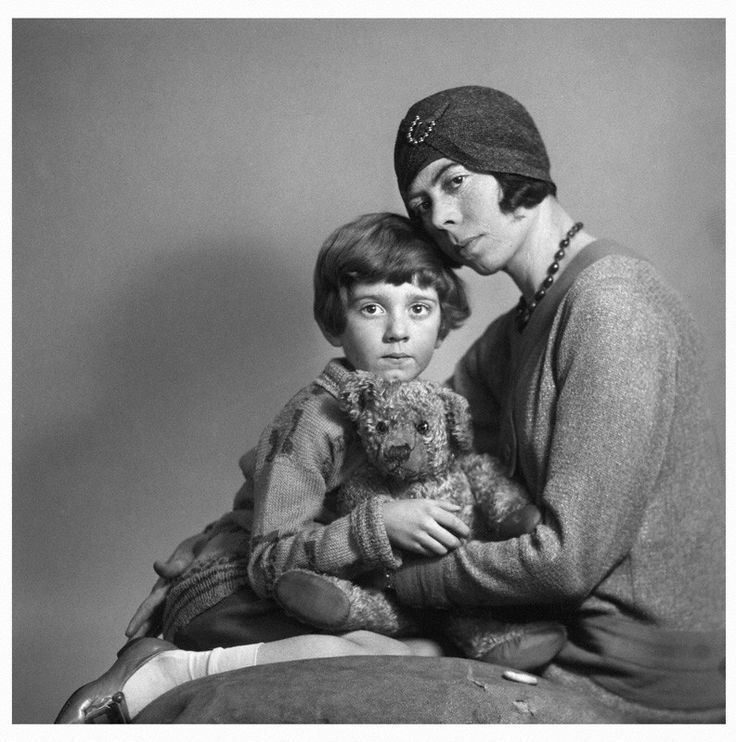 Poor Christopher Robin. The real life boy, as big a star as his father's literary creation, came to resent being the model for one of the most famous little boys in English lit. That's the complex relationship at the heart of the story. I'm a bit of a sucker for these bio-pics that plumb the behind the scenes worlds of authors the way Finding Neverland did with J.M. Barrie, Saving Mr. Banks did with Mary Poppins creator P.L. Travers and the upcoming Rebel in the Rye will with J.D. Salinger. I'm also excited at the direction Gleeson seems to be taking his career. His critically mocked Star Wars General Hux notwithstanding, he's a wonderful young actor who broke out for critics with last year's Ex Machina and who I've been watching since Anna Karenina, where he appeared alongside Alicia Vikander. They're both doing quite well, wouldn't you say? *Fingers crossed this comes to fruition. The project was set to shoot back in 2011 with a completely different director, Nick Hurran, on board.